Wanna get to know me a bit better? Here are 50 of the randomest facts I could come up with about myself! Inspired by my friend GlamSkullBeauty! I just turned 22 years old in December. We’ve been through one deployment. I was born in Ohio and moved to Texas when I was 12. I’ve been married to my amazing husband since 2014. I was 19, he was 21. I’ve lived in Germany since July of 2016. I’m addicted to caffeine and really need to cut back on my Coca Cola consumption. I’m a former Barista and I miss it so much. I now work from home doing marketing for a very popular wedding website. I have two furbabies. Dallas is a two year old Maltipoo, and Yogi is a one year old snorkie. They’re world travelers and have seen the Eiffel Tower and have been to The Alps! I’m also freelance graphic designer. I took several classes in high school/college and have been doing it for years! I have Celiac Disease and have been on a gluten free diet since 2009. I have the eating habits of a 5 year old. I can’t get through a grocery trip without getting boxes of gushers and fruit by the foot. I eat way more cheese than the average person ever should and my body hates me for it. I have a 16 year old sister. We look nothing alike. I love ANYTHING pickle flavored. I’m super gross and only wash my hair maybe once a week lol. I prefer tv over movies. I pretty much cry over every television show I watch. I’m a terrible cook. I make chicken basically every night because It’s all I can make. I was a competitive dancer for my entire childhood. Because of the above reason, I HATED wearing makeup and didn’t really touch it until after I graduated high school. I’m obsessed with planning and I’m a bullet journal junkie. I basically live in jeans and t shirts. I have no sense of fashion. My closet is basically fandom t-shirts, grandma sweaters, and black and white stripped shirts. I’m obsessed with Disney World and cry everytime I go. I also don’t know how to do my hair. I can’t even braid it lol. Every time I see a dog I cry. I’ve had really bad anxiety my entire life. I ain’t really bout that winged liner life. I have small, hooded eyes and I just don’t really like how liner looks on me. I’m also not very great at it so there’s that. The Great Gatsby is my all-time favorite book ever. I hate driving. I only drive if I really have to… Which is maybe every few months lol. I hate spending money on anything that isn’t makeup. I’m a bookworm. I can easily finish a book a day if I have nothing else going on. I’m the oldest of 8 grandkids on my dad’s side, and the middle of 16 on my mom’s side. I was the first to get married on both sides. Growing up, I went to private Catholic school, public school, and was homeschooled. If you say Star Wars around me, prepare for my fangirl freak out. I marathon Star Wars a couple times a month and own enough shirts to clothe myself for two weeks (no joke). I used to have lunch detention every day in elementary school for talking during lunch. Now I’m super shy and quiet and don’t really talk to anyone I don’t know really well. I’m terrified of Sloths. A local exotic pet store back home has a pet sloth. She freaked me out once and ever since then sloths make me want to cry. Their nails are too long and their faces are creepy and I have nightmares that I’m paralyzed and sloths slowly scratch my face off… I can’t believe I shared that but whatever. Now everyone knows I’m crazy. I’m also afraid of clowns. And ants. But I love spiders and snakes. When I was 2, I ran into the wall and had to have my four front teeth pulled out. They didn’t grow back until I was like 7. I then had braces on just those 4 teeth for a couple of years. I’m super corny and collect anything with bumble bees or bee related. Because I love puns and since my last name is Beeman… You get the idea. Hench my blog name! I hate taking selfies. Unless it’s with Snapchat filters. I have a not-so-secret obsession with pimple popping videos… I’m gross I know. I have three tattoos. My mom and I have matching hearts, I have a puzzle piece for my sister who’s on the Autism spectrum, and my Nana’s handwritting with the song she always sang to me when I was little. THese facts are spot on. Enjoyed reading them and thinking back on the memories. I loved reading these and getting to know you! Some of them I relate to so much!! Welcome to Buzz Beeuty, your source to all things beauty! 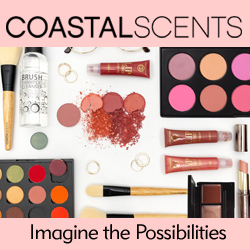 Here you'll find reviews, swatches, details about upcoming launches, and so much more! Get all my new posts sent to your inbox!